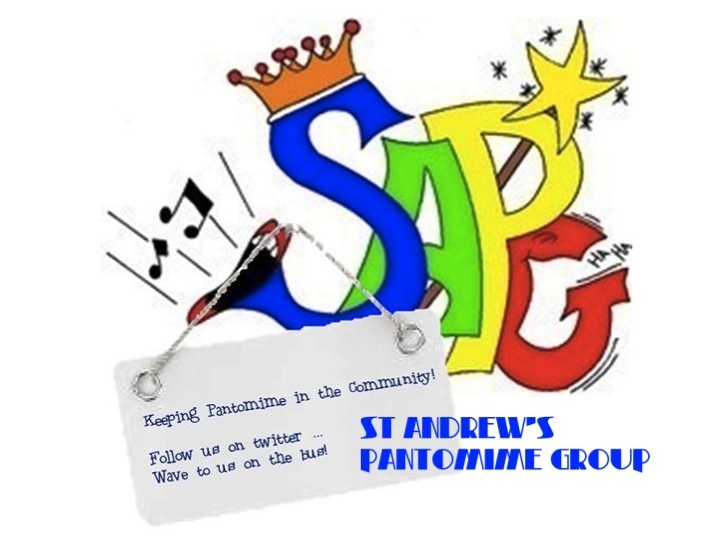 Welcome all to the St Andrew’s Pantomime Group 2019 AGM. Every year I seem to give a very similar opening to my report. Another successful year … 97%+ of all tickets sold … great feedback … everyone enjoyed themselves … and I do so without any regret over my repetition because these statements provide testimony to the continued success that our Group enjoys. St Andrew’s Pantomime is nothing if not contemporary with its production and this year’s wonderful show was no exception on that front. It was the fourth time we had performed Snow White but the first time we had done it with whole village full of dwarves, a TV celebrity appearance and the building of a very 21st century Community Hub – thank goodness we still had the apple and the Wicked Queen, although to be honest she wasn’t that wicked as it turned out, more misunderstood! And so, we move on into another year. This year marks the Group’s fiftieth year. A true milestone – our Golden Anniversary which will be celebrated through the production of a brand new show, Goldilocks, though whether that will be with just the three bears or a whole forest full of them remains very much to be seen. A show with Gold in the title for the Golden Year. As well as the main production there are plans already in place for a Summer Cabaret show, encompassing both the kids of Starlight as well as the cast from the main Pantomime, and we are hopeful that there will be something else, event wise that we can pull together to complete the commemoration this memorable year. 1970 was the year of that first show. A year that saw Leeds Utd almost do the double, beaten in the FA Cup final by Chelsea after a replay and finishing second to Everton in what was then called Division One. A pint of beer was 2 shillings or 10p, and the longest running number one song was “In the Summertime” by Mungo Jerry, which was number one for 7 weeks from 13th June of that year, a year that also saw songs such as “Wanderin’ Star”, “Bridge Over Troubled Water” and “Back Home” from the England World Cup Squad, who were of course still World Champions at that point, also reach the number one slot. The first show, as many of you but maybe not all of you, will know, was Aladdin. It was decided by the St Andrew’s Church Drama Group at their meeting on Thursday 5th June 1969 to perform a Pantomime. That Pantomime was Aladdin. The script was 15 pages long, perhaps I should have taken note when embarking on some of my ‘epics’ in the 90’s, and as far as I can make out the programme was free of charge, though maybe not surprising! There are a few names we might know from this first production; Mavis Ferguson played the ‘First Lady’, Steven Roddy was ‘Slave of the Lamp’ (known as SOTL in the script), and his brother Michael and sister Susan were also in the cast. Rae Naylor played the Dame, Widow Twankey and Heather was a sunbeam with Judith, her sister, being one of the many dancers, eighteen in total in what we would today call the chorus. And so, this is our legacy. Keeping the tradition alive is our challenge and so let us hope that “Goldilocks 2020” kicks off another fifty years of Keeping Pantomime in the Community, just as “Aladdin 1970” did.